Richard M. Tolman, LMSW, PhD, is a professor at the University of Michigan School of Social Work. He received his doctorate in social welfare from the University of Wisconsin-Madison and his MSW from the University of Michigan. 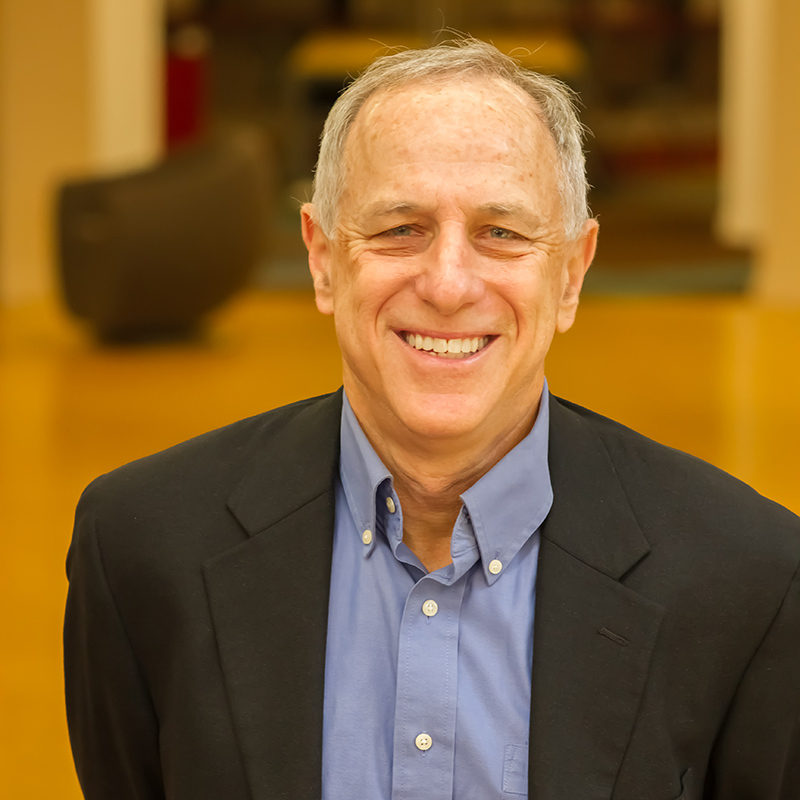 Professor Tolman's work focuses on the effectiveness of interventions designed to change violent and abusive behavior, and the impact of violence on the physical, psychological and economic well-being of victims He began his work in this area as a practitioner working with men who batter in 1980. His current projects include research on the impact of and prevention of abuse during pregnancy and involvement of men and boys as allies to end men's violence against women. He is currently co-Director of the Global Research Program on Mobilizing Men for Violence Prevention, a collaborative project between the University of Michigan and the University of Minnesota. Professor Tolman teaches primarily in the interpersonal practice sequence. He also co-teaches a course focusing on community empowerment through creative expression. He is engaged in several projects, overlapping dimensions of research, teaching and service, that focus on the use of creative arts in social work efforts. Group work and family violence, interpersonal practice. Walsh, T., Tolman, R. M., Davis, R. N., & Singh, V. (in press). Fathers’ presence at ultrasound: An opportunity for engagement. Social Work Research. Tolman, R. M., Walsh, T., & Nieves, B. (in press). Engaging men and boys in preventing gender-based violence. In C. Renzetti (Ed. ), Preventing Intimate Partner Violence: Interdisciplinary Perspectives. Policy Press. Chan, K. L., Emery, C. R., Fulu, E., Tolman, R. M., & Ip, P. (2017). Association among father involvement, partner violence, and paternal health: UN Multi-Country Cross-Sectional Study on Men and Violence. American Journal of Preventive Medicine, 52(5), 671-679. Casey, E. A., Leek, C., Tolman, R. M., Allen, C. T., & Carlson, J. M. (2017). Getting men in the room: perceptions of effective strategies to initiate men’s involvement in gender-based violence prevention in a global sample. Culture, Health and Sexuality, 1-17. Carlson, J., Allen, C. T., Leek, C., Storer, H., Casey, E., & Tolman, R. M. (2017). Participants’ perceptions of the nature of events aimed at engaging men to eliminate gender-based violence. Global Social Welfare, 1-13. Reed, L. A., Tolman, R. M., & Ward, L. M. (2017). Gender matters: Experiences and consequences of digital dating abuse victimization in adolescent dating relationships. Journal of Adolescence, 59, 79-89. Reed, L., Tolman, R. M., & Ward, M. (2016). Snooping and sexting: Digital abuse in a dating context. Violence Against Women. Storer, H. L., Casey, E. A., Carlson, J., Edleson, J. L., & Tolman, R. M. (2016). Primary prevention is? A global perspective on how organizations engaging men in preventing gender-based violence conceptualize and operationalize their work. Violence Against Women, 22(2), 249-268. Reed, L. A., Tolman, R. M., Ward, L. M., & Safyer, P. (2016). Keeping tabs: Attachment anxiety and electronic intrusion in high school dating relationships. Computers in Human Behavior, 58, 259-268. Casey, E., Tolman, R. M., Carlson, J. Allen, C. T. & Storer, H. L. (2016). What motivates men’s involvement in gender-based violence prevention? Latent class profiles and correlates in an international sample of men. Men and Masculinities. Saunders, D. G., Faller, K. C., & Tolman, R. M. (2015). Beliefs and recommendations regarding child custody and visitation in cases Involving domestic violence: A comparison of professionals in different roles. Violence Against Women, 22, 722-744. Sage Journals. Yoshihama, M. & Tolman, R. M. (2015). Using interactive theater to create socioculturally relevant community-based intimate partner violence prevention. American Journal of Community Psychology, 55(1-2), 136-147. Carlson, J., Casey, E., Edleson, J. L., Tolman, R. M., Walsh, T. B., & Kimball, E. (2015). Strategies to engage men and boys in violence prevention: A global organizational perspective. Violence Against Women. Konrath, S., Falk, E., Fuhrel-Forbis, A., Liu, M., Swain, J., Tolman, R., & Walton, M. (2015). Can text messages increase empathy and prosocial behavior? The development and initial validation of Text to Connect. PLoS ONE, 10(9). Reed, L., Tolman, R. M., & Safyer, P. (2015). Too close for comfort: Attachment insecurity and electronic intrusion in college students' dating relationships. Computers in Human Behavior, 50, 431-438. Singh, V., Tolman, R. M., & Cunningham, R. (2014). Male aggression associations with health symptoms and prior family violence. Journal of General Internal Medicine, 27(5), 661-668. Swain, J. Dayton, C. J., Kim, P., Ho, S. S., Tolman, R. M., & Volling, B. L. (2014). Progress on the paternal brain. Infant Mental Health Journal, 35 (5), 394-408.
van Anders, S., Tolman, R. M., & Gayarati, J. (2014). Examining how infant interactions impact men's hormones, affect, and aggression using the Michigan Infant Nurturance Simulation Paradigm. Fathering: A Journal of Theory, Research, and Practice about Men as Fathers. Neugut, T., Tolman, R. M., Singh, V., Palladino, C., & Davis, R. (2014). Moving up the 'magic moment': Fathers' experience of prenatal ultrasound. Fathering: A Journal of Theory, Research, and Practice about Men as Fathers, 12(1), 18-37. Kimball, E., Edleson, J. L., Neugut, T. B., Tolman, R. M., & Carlson, J. (2013). Global efforts to engage men in preventing violence against women: An international survey. Violence Against Women, Vol19(7), 924-939. Saunders, D. G., Tolman, R. M., & Faller, K. C. (2013). Factors associated with child custody evaluators' recommendations in cases of intimate partner violence. Journal of Family Psychology, 27, 473-483. Kimball, E. T., Edleson, J., Tolman, R. M., Neugut, T., & Carlson, J. (2013). Global efforts to engage men in preventing violence against women: an international survey. Violence Against Women, 19(7), 924-939. Casey, E. A., Carlson, J. C., Fraguela-Rios, C., Kimball, E., Neugut, T., Tolman, R. M., & Edleson, J. (2013). Context, challenges, and tensions in global efforts to engage men in the prevention of violence against women: An ecological analysis. Men and Masculinities, 16(2), 228-251. Lee, S. J., Neugut, T., Rosenblum, K L., Tolman, R. M., Travis, W. J., & Walker, M. H. (2013). Sources of parenting support in early fatherhood: Perspectives of United States Air Force members. Children and Youth Services Review, 35, 908-915. Adams, A E., Bybee, D., Tolman, R. M., Sullivan, C. M., & Kennedy, A. C. (2013). Does job stability mediate the relationship between intimate partner violence and mental health among low-income women? American Journal of Orthopsychiatry. Adams, A., E., Greeson, Kennedy, A. C., & Tolman, R. M. (2013). The effects of adolescent intimate partner violence on women's educational attainment and earning in adulthood. Journal of Intimate Partner Violence. Storer, H., Casey, E., Carlson, J., Edleson, J., & Tolman, R. M. (2013). Primary prevention is ? : A global perspective on how organizations that partner with men in combating gender-based violence conceptualize and operationalize primary prevention in their work on violence against women. Violence Against Women. Maxwell, N., Scourfield, J., Featherstone, B., Holland, S., & Tolman, R. M. (2012). Engaging fathers in child welfare services: A narrative review of recent research evidence. Child and Family Social Work, 17, 160-169. Van Anders, S., Tolman, R. M, & Volling, B. (2012). Baby cries and nurturance affect testosterone in men. Hormones and Behavior, 61(1), 31-36. Scourfield, J., Tolman, R. M., Maxwell, N., Holland, S., Bullock, A., & Sloan, L. (2012). Results of a training course for social workers on engaging fathers in child protection. Children and Youth Services Review, 34(8), 1425-1432. Kernsmith, P., & Tolman, R. M. (2011). Attitudinal correlates of girls' use of violence in teen dating relationships. Violence Against Women. Saunders, D., Faller, K., & Tolman, R. (2011). Child Custody Evaluators’ Beliefs About Domestic Abuse Allegations:Their Relationship to Evaluator Demographics, Background, Domestic Violence Knowledge and Custody-Visitation Recommendations. Final Technical Report Submitted to the National Institute of Justice, U.S. Department of Justice. Tolman, R. M., & Edleson, J. (2010). Intervening with men for violence prevention. In C. M. Renzetti, J. L. Edleson, & R. Kennedy Bergen (Eds. ), Sourcebook on Violence Against Women (2nd ed.). Thousand Oaks, CA: Sage Publications Inc.
Neugut, T., Edleson, J., & Tolman, R. M. (2010). Children exposed to domestic violence: Prevention approaches. In S. Alexander, R. Alexander, & N. Guterman (Ed. ), Prevention of Child Maltreatment. G.W. Medical Publishing. Carlson, J., Casey, E., Kimball, E., Neugut, T., Tolman, R. M., & Edelson, J. (2010). Strategies to engage men and boys in violence prevention: A global organizational perspective. Violence Against Women. Tolman, R. M., Himle, J., Bybee, D., Abelson, J., Hoffman, J., & Van Etten-Lee, M. (2009). Impact of social anxiety disorder on employment among women receiving welfare benefits. Psychiatric Services, 60, 61-66. Black, B. M., Tolman, R. M., Callahan, M., Saunders, D. G., & Weisz, A. (2008). When will adolescents tell someone about dating violence victimization? Violence Against Women, 14, 741-758. Fitch, D., Peet, M., Reed, B. G., & Tolman, R. (2008). The use of ePortfolios in evaluating the curriculum and student learning. Journal of Social Work Education, 44(3), 37-54.